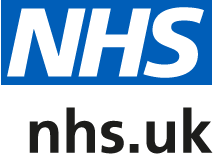 If you have a compliment, comment or complaint regarding the provision of services then please speak to the Patient Experience Manager. You can also ask at Reception for a copy of our Complaints Procedure. The Care Quality Commission (CQC) are the independent regulator of health and adult social care services in England. They monitor, inspect and regulate services to make sure health services meet fundamental standards of quality and safety. If you feel that you need to contact the CQC for any reason, they can be contacted on 03000 616161.